Liberty Township trustees are considering whether or not to seek the services of an office space planner to evaluate the township’s office space needs as the clock winds down on its lease at 10104 Brewster Lane, Powell. The lease expires the last day of February. Leneghan said she didn’t think the landlord was overcharging for the office space, but that it was simply too much space for the needs of the township. Leneghan said the current office space has 11 closed-door offices, six cubicles, a space for copying, and one giant reception area for three full-time and four part-time employees. “The whole reception area is a waste of space,” she said. Leneghan said storage space was much cheaper compared to office space and asked about storing the files off site. Fiscal Officer Nancy Denutte said the records were public documents that had to be available when there is a document request. “And zoning has to have access also,” she added. Trustee Mike Gemperline suggested hiring an office space planner to analysis and suggest the amount of space the township would need. However, Gemperline said he’d never purchased the services of a space planner and wasn’t sure of the cost. 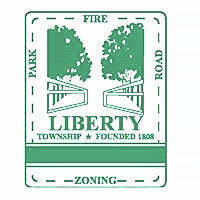 Huffman presented the board with the available space currently for lease within the township. He also circled back around to Parks and Roads Superintendent Andy Curmode’s idea of remodeling the old parks department office in Liberty Park. Other ideas that were presented in the previous January trustee meeting included utilizing space at the township hall, the open space on the second floor of Fire Station 322, and maybe building something new. Huffman said the second floor of station 322 is used by the fire department for storage and “it’s not (American Disabilities Act) compliant.” That aside, he said there was room for only two or three offices in that space. Trustee Shyra Eichhorn agreed the current space is more than the township needs. Eichhorn said judging from the options presented there doesn’t seem to be an appropriate space. Denutte said she has also looked at office space and “only saw about five places that would be close” to what the township needs. Eichhorn said if the township stays when the lease expires, it would see a 50 percent increase in the rent. In the last trustee meeting of January, Huffman said there would be a 3 percent increase per year in the rent if trustees decide to renew the lease for 10104 Brewster Lane. This entry was tagged D. Anthony Botkin, Eichhorn, Gemperline, Huffman, Leneghan, Liberty, Township. Bookmark the permalink.